The Chrysler saga: Wooed, won, spurned, purchased -- and now up for grabs. DETROIT -- Chrysler LLC will extend shutdowns at five factories one week beyond the scheduled reopening date of Monday, Jan. 19. Assembly plants in Belvidere, Ill.; Sterling Heights, Mich.; and Toluca, Mexico, will reopen Jan. 26, the company said today. Chryslers Global Engine Manufacturing Alliance engine joint venture and its Trenton, Mich., engine plant also will take an extra week and reopen Jan. 26. Chrysler attributed the extended shutdown to difficult economic conditions. The ongoing worldwide financial crisis continues to stifle the availability of consumer credit for American car buyers, prolonging the automotive industry downturn. 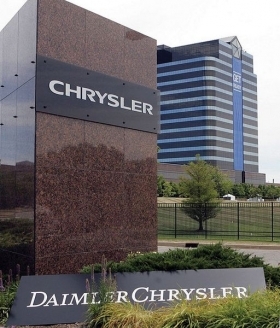 As a result of these external issues, Chrysler LLC will make additional adjustments to production schedules at its North American manufacturing operations, the company said in a statement. In December, Chrysler announced it would extend its normal holiday shutdowns through Jan. 19 at most plants. The companys sales fell 30 percent in 2008 and 53 percent in January, the biggest drop of any major manufacturer. Chrysler says it will reopen assembly plants in Windsor, Ontario (minivan), and Conner Avenue in Detroit (Viper) on Feb. 2, the same date as announced in December.